Even a stopped clock is right twice a day. 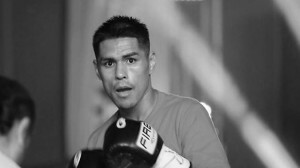 In the preview, your columnist called John Molina Jr. (25-2, 20 KOs) the heavy favorite over Dannie Williams (22-3, 18 KOs), and so it came to pass. Molina crashed a right hand on the temple of the St. Louis native that left Williams trying to beat the count by getting up on the wrong side of the ropes, seemingly unaware that there was a barrier between himself and referee Rocky Burke as the latter reached the count of ten. In the co-feature, Brandon Gonzales (17-0-1, 10 KOs) again validated the Boxing Tribune’s opinion of him, with a closer-than-it-needed-to-be snoozer win over Don Mouton (12-5-1, 10 KOs). There were a couple of swing fights low on talent and high on action; more on those later. The main event was according to the script, but there was a twist. Dannie Williams is so clueless, so completely devoid of any clue how to establish the context of a fight that he is in, that he stepped into the ring with a guy who was knocked out in 44 seconds in his last fight…and first touched gloves in a welcoming fashion after the opening bell, then gave Molina all the time he needed to find his legs and regain his confidence. Yes, styles make fighters as well as fights, but Williams was completely out of his depth; even the most ardent counter-puncher would’ve gone Mike Tyson or Manny Pacquiao on a guy who was clearly not completely on board psychologically from the opening bell. So it went. Williams couldn’t push the action; Molina was content to find his opportunities knowing that the guy in front of him was no threat. Indeed, Teddy Atlas pointed out that Williams had been on the floor against a 6-10-2 fighter in his last contest, realizing in the process that talking up Dannie Williams as a fighter was probably the wrong tack to take at the beginning of the broadcast. Finally, in the fourth round, Molina got his opening, putting a perfect right hand behind the jab and landing it right on the temple of his opponent. Williams went sprawling through the ropes and, when he made his effort to beat the count, emerged on the side of the ring border usually reserved for spectators. That wasn’t going to get it done as Rocky Burke reached the count of ten. 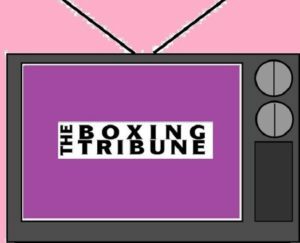 This was pathetic; it was exactly what the smart Boxing Tribune reader knew was going to happen from the preview. In the co-feature, Brandon Gonzales looked anything but his nickname of “Flawless”, doing absolutely nothing worthy of SportsCenter or indeed worthy of remaining awake. The real fun in the fight came when Don Mouton got some good shots in during the seventh and eighth rounds, positively rocking Gonzales right at the end such that had there been a ninth and tenth round in the fight, it may have ended differently. Brandon Gonzales needed to win in spectacular fashion to prove himself worthy of regular appearances on television. He did no such thing. He may have won a fairly easy decision, winning 77-75 (twice), 78-75, with Teddy Atlas and your columnist both scoring the bout 78-74, but if there is any wisdom to be found in television matchmaking, Brandon Gonzales’ career as even a co-feature attraction is over. Good riddance to him if that is the case. This fight was boring, something a TV fight should never be. In the opening bout of the night, we got a four-rounder between two guys making their pro debuts. One guy, Brandon Holmes, had ten amateur fights and started boxing at age eight. The other guy, Alberdo Javier Esparza, has literally never won a fight in his life, going 0-3 as an amateur and getting his heart ripped out in a hellacious barrage by Holmes to start the fourth round of this one. Holmes fought in such a way as to suggest two things; one, that he wanted to size up his opponent and figure out whether he could, indeed, go all-action in the fourth, and two, that he has clearly learned at the very start the lesson Arash Usmanee learned last week; the only way to be double-dog sure you won’t get robbed by the judges is to knock your enemy out. Kudos to Brandon Holmes, and here’s to your columnist being able to say that he has the same number of wins in sanctioned amateur and professional boxing matches combined as a guy who was on national television. Stop stinking up the game, Esparza. 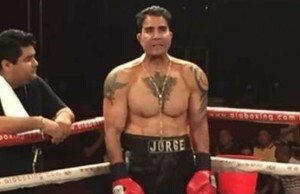 Speaking of stinking up the game, what happens when a mediocre MMA fighter (Josh Montoya, 10-7 in MMA fights and 0-2 in boxing matches) meets a lousy boxer (Eduardo Dominguez, making his pro debut with a win at age 18 after six amateur fights)? You get a bar fight masquerading as a boxing match. Dominguez was the better boxer, and to lose a round (the fourth, and quite possibly the third as well) to a guy who has absolutely no idea how to box, as Teddy Atlas pointed out repeatedly whenever Montoya’s “technique”, such as it was, was on display, suggests that New Mexico has a serious lack of guys you find in the parking lot to fill out fight cards. Swing fights in boxing hotbeds like Nevada, California, or even a place like Rhode Island tend to be quality bouts between quality fighters. The “local fight scene” in and around Santa Fe did itself no favors in two attempts on TV tonight. FNF is off next week; on January 25, Serhiy Dzinziruk (37-1-1, 24 KOs) takes on Brian Vera (21-6, 12 KOs) in an intriguing main event between guys who have floated around the conversation as top guys in the 154-pound ranks. In the co-feature, unbeaten Tony Luis (15-0, 7 KOs) battles Miguel Gonzalez (20-3, 15 KOs) in another ten-rounder. 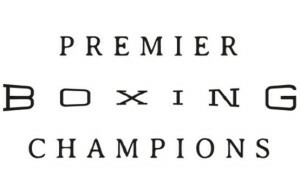 The Boxing Tribune will have a full preview and recap of the night’s action. Stay tuned; we’re the worldwide leader in covering the Worldwide Leader. 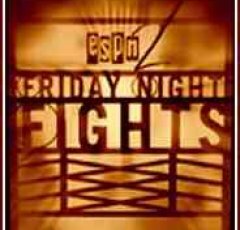 Fox Doucette covers Friday Night Fights for The Boxing Tribune. 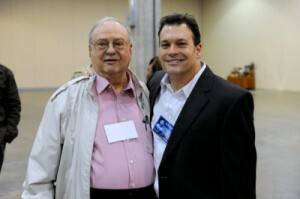 His weekly column, The Southpaw, appears on Thursdays. Fan mail, hate mail, and recommendations for good barbecue in Knoxville, where your columnist is decamping to next week, can be sent to beatcap@gmail.com.